The Silver Line Jet - on my long journey to Kannur.. It was a very confusing decision. I had to travel from my hometown, Kodungallur to Kannur. Its a short journey, and has very few comfortable options. I had the options of taking a train from Thrissur (ruled out since no tickets were available), taking an overnight bus (ruled out since I wanted to be in Kannur well in time - and taking an overnight bus could be a major risk), or going bus hopping - this is the option I chose. I wanted to try my luck with KURTC - Kerala's official Low Floor bus operator. There were no buses at the time, I wanted. While casually browsing the Kerala SRTC reservation website for tickets from Kodungallur to Kozhikode, a Silver Line Jet popped up - the bus operates a Changanassery-Kozhikode schedule. Without wasting much time, I went ahead and booking a ticket (I got the ticket on my fourth attempt only - the banking transaction timed out everytime due to poor network connectivity). What is this Silver Line Jet? Long ago, when I was a Kid, Kerala SRTC used to operate a class of service called "Lightning Express". Those buses used to make very very limited stops, and ran at high speeds, and had a very low running time. Over the period of time, these services were withdrawn - multiple reasons were quoted, including frequent accidents, for the withdrawal. 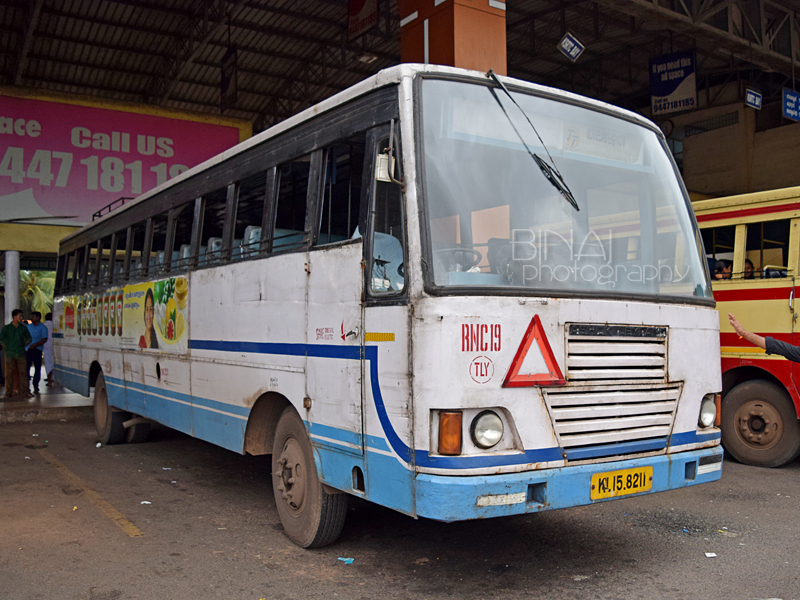 Almost two decades went by before KSRTC thought of bringing back the same class of service. But the roads got more crowded over the period, and there has been hardly any improvement in the road infrastructure in Kerala. This time, they decided to give a new name to the concept - Silver Line Jet was born! The name looks very awkward for a bus, IMO. I am not sure of what was the seating layout of Lightning Express - I was too small to remember anything of my only encounter with the Lightning Express. The new avatar, Silver Line Jet, has a 2x2 seating layout, with only 40 seats inside. They went for non-air-suspension chassis, with a body design that resembles Super Deluxe buses. The body was built in-house, at Central Workshop, Pappanamcode, Trivandrum. This time as well, these services have very limited stops, and have the least running time among all services in the route. The first thing I did on waking up was to check if I had received any SMS from KSRTC about the bus or the crew. Employees of Changanassery depot (which operates this service) were on strike until a few days back. This had left me a bit worried - will the bus get cancelled? I called up the depot and enquired if the bus had operated that day - they replied affirmative. I further asked the crew's phone number - the person at the other end put me on hold and hunted out the number for me. I thanked that person and hung up. I called up the conductor then - he said they were yet to reach Vyttila. He confirmed my boarding point, and promised to call me when he nears Kodungallur. 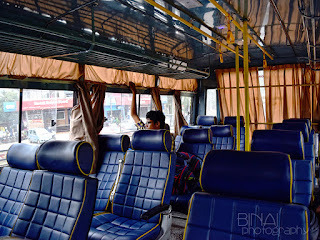 Since the bus was still far away, I took my own sweet time to leave home - after a leisurely breakfast from home, I started off to Kodungallur, some 3kms away from home. I reached Kodungallur bus station at around 0940hrs. Just as I got off the bus, and walked towards the highway, the conductor of Silver Line Jet calls up - they are entering Kodungallur bypass, and should reach my pick-up point in another 5 minutes - I confirm that I've reached the pick-up point. The bus turned up at my pick-up point at 0946 - and leaves immediately after I, and another passenger got in. The scheduled time for this bus at Kodungallur is 0900hrs - so thats a 46 minute delay. The driver meant business - and remained aggressive right from the start. The bus passed Triprayar at 1019hrs. The road gets narrow after Chettuva - I wanted to see how the bus keeps pace there - we lost time after Chettuva, finally reaching Guruvayur at 1053 - 53 minutes late now. We left Guruvayur at 1056hrs. 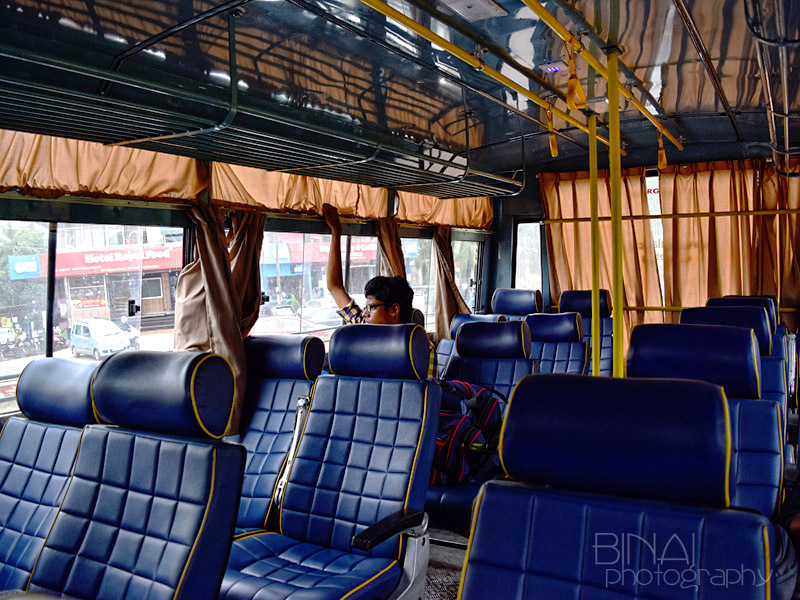 Inside the bus - the cabin is separated by a curtain.. The bus takes the Ponnani-Tirur-Parappanangadi-Chelari route from here. This is one of the narrowest routes I've seen - the worst choice of route for a service whose USP is speed and less travelling time. The rot began here - we kept losing time as we progressed. Ponnani was reached at 1132hrs - the scheduled arrival time at Kozhikode is 1200hrs! It was impossible we reach Kozhikode on time. The road gets even narrower after Chamravattom bridge - its difficult even to over a bike on this road. We passed Tirur at 1209hrs - the driver saved time by not going to the bus station, but dropped passengers at the town centre itself. It was too hot outside, and I dozed off for sometime later. The bus made very painful progress - and to add salt to the injury, a ticket checker wanted to get in in the middle of nowhere - the driver is bound to oblige, and he stopped. I still wonder why do you need someone to check tickets in a bus that had hardly 20 passengers - and runs with very limited stops! Meanwhile, there was some altercation between the crew and a passenger who wanted to get down at a place the bus doesn't stop. The driver was worried that the bus was already running late, and stopping everywhere would simply add to the delay - he is right, thinking from his side. I reserve my comments on whether what the crew did was right or wrong - the bus eventually stopped to drop that passenger. The checker also got off after sometime. The driver breathed free as the bus got on to the highway at Chelari - he picked speed, but couldn't maintain speed due to traffic. 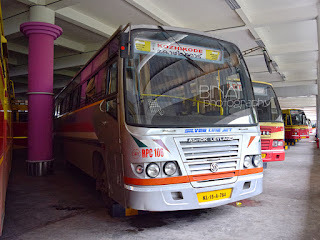 We went through the bypass, and finally reached Kozhikode bus station at 1337hrs - a good 1h37m late from the arrival time mentioned on the website (the arrival time according to the time sheet is 1230hrs - so thats a 1h07m delay). The journey took a shade under 4 hours - not bad for the route, IMO. 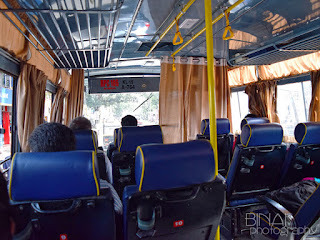 The bus that took me to Kannur, from Kozhikode. After getting off the bus at Kozhikode, I had my lunch, and then took another bus to Kannur. It was RNC19 of Thalassery depot that took me to Kannur. 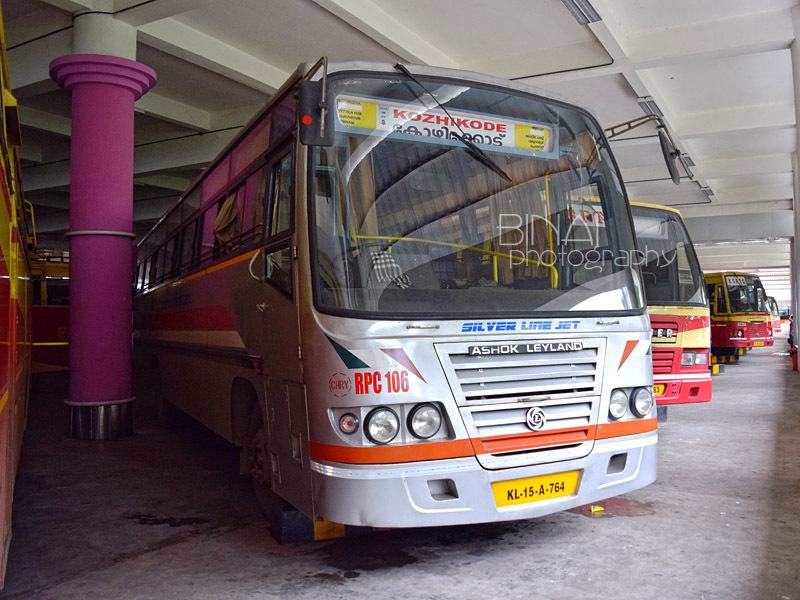 The bus left Kozhikode at 1416hrs, and dropped me in Kannur new bus station at 1726hrs - after wading though traffic for most part of the journey. Summary: Silver Line Jet is a misplaced concept, speaking very honestly. With the ever increasing traffic, having a class of service that has the sole usp of speed isn't a good idea. The bus is built on a regular leaf-spring suspension chassis - making it for a very uncomfortable journey. The sole comfort factor in the bus is the 2x2 Push back seating. The choice of routes isn't great as well. And to add salt to the injury, the bus charges the highest fares for a non-ac bus in the KSRTC network. 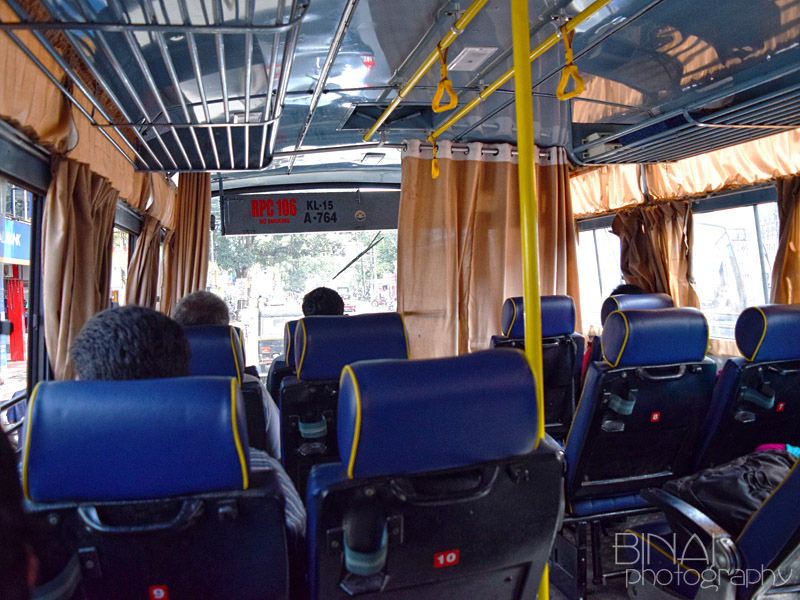 The fares are higher than even the Super Deluxe buses, which offer the same seating and has air-suspension. I hope KSRTC doesn't make such mis-adventures anymore. Nice travelogue Binaieta...It was interesting to see the travel time it took from Kozhikode to Kannur. A whopping 3 hrs and 10 minutes,which is very very bad. IMHO, the best thing was to have a nice lunch at Kozhikode from Paragon Hotel or somewhere (from your travelogues, I know that quite a foodie!! ), and catch the Parasuram Express, pay the extra fare to TTE and settle down in the AC Chair cair! !